Sarah started her career at MUTV and now writes and presents the sports news for "Sport Today" on BBC World, as well as the sports bulletins on BBC News. She also presents the sports news for BeIN Sport’s coverage of the Champions League, La Liga, Serie A, as well as reporting pitchside from various games throughout Europe. She worked on both The Euro’s and the World Cup and has anchored The ATP World Tour Tennis Finals live from Doha. She also anchored The Olympic Breakfast Show, broadcast every morning throughout the Olympic games for the channel. When BeIN Sport was awarded the broadcast rights for the Barclays Premier League, she worked as the female presenter in the studio alongside Richard Keys and Andy Gray. Sarah also presents the Power Snooker tournaments on ITV4, a new concept of the traditional game, where she interviews the players and reports live from the event. She also presents for BoxNation, interviewing fighters, pundits and celebrities in attendance. Sarah was also the live presenter for the inaugral Star Sixes football tournament, hosting live from The O2. She covered all the backstage action as well as interviewing legends of the game, from Steven Gerrard to Alessandro Del Piero. She also has radio experience and worked as a radio host for Rock FM presenting a weekly Saturday show alongside Tim Shaw. Sarah is a keen amateur sportswoman, who regularly jogs and still plays tennis to a competitive level at her local club. Sarah dedicates much of her time outside of TV to charity work. She has raised over £7,000 for the Christie, a cancer charity close to her heart. Sarah also fosters animals for the RSPCA and volunteers at her local church. Shaquille O’Neil was hilarious, ex sportsmen and women tend to be less guarded and more revealing! Best show you worked on? I presented The BeIN sport Olympic breakfast show everyday of the London 2012 games, it was a great honour in my home country and also very interesting learning about new sports such as Greco Wrestling and Handball. Jose Mourinho once gave what felt like a lifetime pause following a question I gave him, fortunately he eventually answered my question in a room full of journalists. 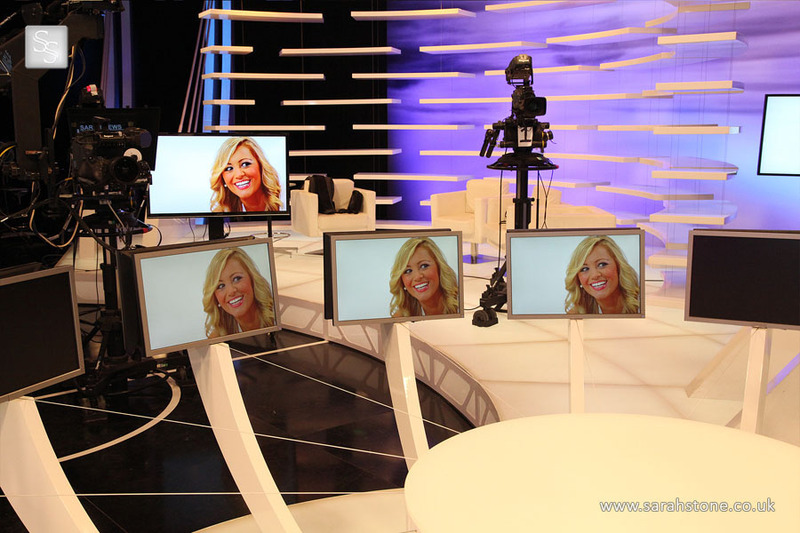 I would like to continue to improve as a presenter, host and compare. Eventually I have personal career goals I would love to achieve and be a successful as I can through hard work and mainly because I love the job, the pressure and challenges it brings. Have you ever had to use your German language skills at work? In the champions league I covered Bayern Munich and it certainly helped give me an advantage, and let me do a small extra piece on what the local newspapers had been writing on the pre game show. Is being a female in the sports industry tough? To make it in any industry to the level I want to is tough, but I love the challenge and embrace it. You’ve worked in Doha, Dubai, Milan but where has your favourite place you’ve been sent to work been? Rio in Brazil was special, such a dynamic yet utterly beautiful place. Ever... would be Eric Cantana, but now I like Anthony Joshua. He is great example to many working class people and a testament to where hard work and transforming your life can get you. That said, being a Man United fan I’m excited to see the development of Marcus Rashford also. I also really admire and like Katarina Johnson-Thompson, she has a great personality and I have huge respect for Olympic athletes. Any Given Sunday. I’m hoping to go to the NFL in London at the new Spurs ground. Football wise the San Siro was impressive but if the weather is good, it’s hard to beat Wimbledon for the tennis or sitting on a boat at Cowes Week. Tough... Tennis, Football & Boxing equal! I love Florida and America.